The story of a young convict, Solomon Blay, who became Her Majesty's hangman in Van Diemen's Land; the man who personally had to deliver an Empire's judgement on 200 men and women, and endured his own noose of personal demons and demonisation in order to "survive"; all in the context of the great struggles of good-evil, life-death, hope-despair, which drew the attention of Darwin, Twain, Trollope and Dickens as Van Diemen's Land evolved from a Hades of Evil to sow the seeds of nationhood. The book paints a vivid picture of the society and poverty from which Blay's character was forged in England and the desperate, brutal nature of being a convict in Van Diemen's Land. 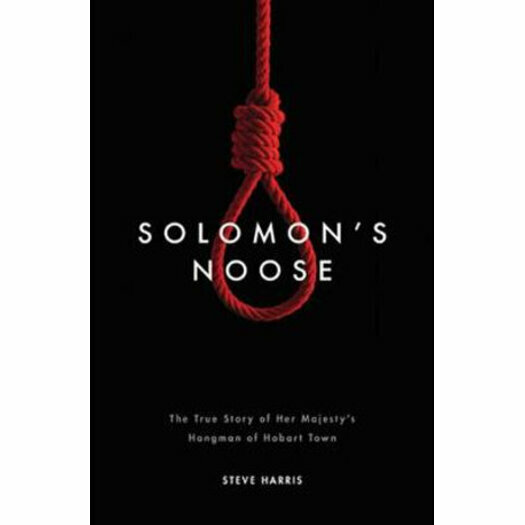 Solomon's Noose is an important book in exposing the dark 'underbelly' in the formation of modern Australia.